Florida courts do not grant “restraining orders” as far as the term itself goes. But, a person who is in fear of another, or has been a victim of violence in the home, of stalking, of dating violence, or repeat violence can apply for an injunction or “protective order” to make it illegal for that other person to have any contact with the victim. An “injunction” or “restraining order”, as it is commonly referred to,is an Order that restricts the other’s access to the victim, prevents the ownership of firearms and establishes penalties for failing to comply with the Court’s injunction.While the majority of injunctions are issued between husbands and wives, and unmarried parents, injunctions can also be issued between domestic partners, co-workers, and virtual strangers so long as the petitioner can meet the requirements set out in the injunction statute. We recently had a client who had just broken off a relationship with a boyfriend. While she believed that he took their break up well, it was simply not the case. This woman had never lived with this boyfriend and they had been dating for a little over three months when she realized that he was not her soul mate. Though the man was quite affectionate during their short relationship, since they had broken up, he called and texted her non-stop. She told him to stop but that seemed to only to excite him. He filled up her voicemail box before noon nearly every day. She’d changed her number at least once and had taken down her Facebook page, but he found her numbers, nonetheless, and drove by her house frequently. The final straw was when he showed up at her work screaming at her in front of all of her customers. She was no longer just aggravated by this man, she was truly afraid of him. This woman was smart though. She’d kept each of the voicemails and text messages that he’d sent her. She’d kept all of the e-mails in a three-ring binder to show us. The messages and emails were not scary at first, she said, “just annoying” but then as time passed, they made her afraid. In addition to representing her in filing a petition for an injunction against dating violence, we helped her with filing a report with the Sheriff’s office for criminal charges to be filed. On the day of the injunction hearing, the ex-boyfriend appeared. The judge carefully explained to the ex-boyfriend that even though the injunction hearing was civil in nature, he was advised that he had a right to remain silent since some of the allegations were potentially criminal. Unfortunately, this young man did not heed the judge’s advice and proceeded to admit, quite arrogantly, that he was indeed the individual in the voicemails, texts, e-mails, and the person who showed up at our client’s office. He then claimed that he was “not sorry” about anything he’d done to our client and only stopped his actions for the period of time between the time he was served with the papers until the court hearing, because, according the papers, he “could be arrested.” The judge took less than 30 seconds to enter the injunction in favor of our client for her life. More importantly, upon our advice, she retained a copy of the court transcript to have ready for the police for when they needed to file the charges. While this case is a rather cut-and-dry example of stalking (and also an excellent case of great evidence) many parties go to court with little or no guidance on the matter and often end up with no injunction, not because they had poor evidence, but because they did not know how to present that evidence. (For example: in most cases, a notarized letter from your neighbor is inadmissible as hearsay if the other side voices an objection and that neighbor is not present in the Courtroom). 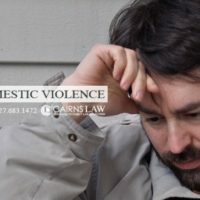 It is so important to obtain legal advice on any domestic violence or injunction situation because if you make a wrong move, you could find yourself in worse situation than before; this time with potentially criminal consequences.